Bangkok — Journalists in Thailand and ASEAN must take control of the narrative from Western media wire-services in order to build a better understanding of global events, especially those involving religious and ethnic conflicts, according to one of Thailand’s most prominent writers on foreign affairs. Mr Kavi Chongkittavorn (second right). 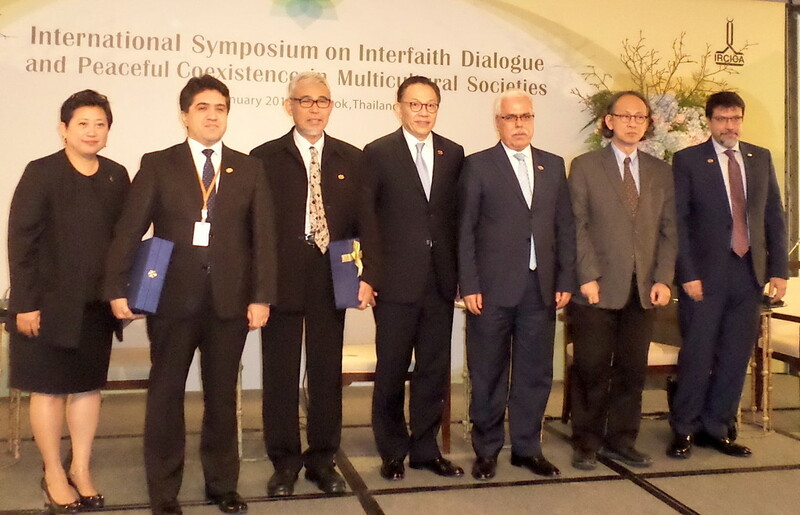 Other speakers and delegates at the symposium are (from right) – Dr Hassan Abedin, Head of the Department of Muslim Communities and Minorities OIC; Dr Halit Eren, Director General, OIC Research Centre for Islamic History, Art and Culture; Mr Tharit Charungvat, Thai Ambassador to Turkey; Dr Abdulla Numsuk, Executive Director of the Wasatiyyah Institute for Peace and Development, Sheikhul Islam Office of Thailand and Dr Sadik Unay, Associate Professor of International Relations & Senior Researcher, IRCICA. The lady at extreme left is from the Ministry of Foreign Affairs who moderated the session. Thailand, which became an observer state in the OIC in 1998, hosted the event under its strategy to build relations with the Islamic world as a stepping stone towards ending a long-running separatist insurgency and establishing a lasting peace in its Southern provinces. The role of the media in reporting such ethnic conflicts and impacting on public perception of religions, especially Islam, came up repeatedly during the discussions. The final session at which Mr. Kavi spoke was devoted entirely to the role of the media, and Mr. Kavi was the only journalist on the panel. He did not mince any words. 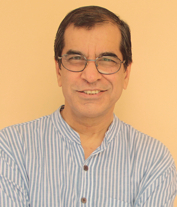 Kavi outlined what he called the three failures which he made clear applied only to media “in this part of the world”: 1) failure to report the “better half” of interfaith developments; 2) failure “to create our own narrative”, and 3) failure to network and publish each other’s analysis and perspectives. Elaborating on those points, he said that violence in any Islamic country “makes headlines for weeks and weeks. But nobody writes about good works by religious leaders who preach tolerance. 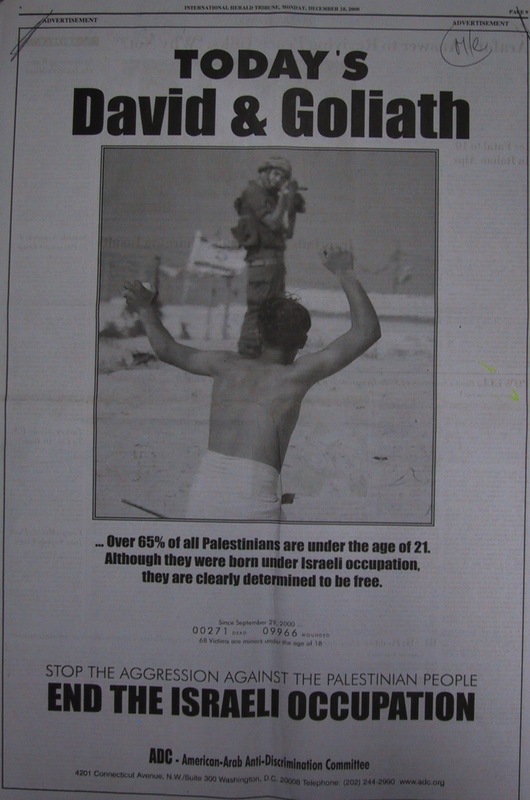 Journalists don’t see the point, they don’t keep abreast with what’s going on.” On the contrary, he expressed puzzlement about how a terrorist group like IS can be so successful in using media, especially social media, to attract recruits for something so wrong. Asked by this editor during the Q&A about journalists not knowing the difference between information and disinformation, Mr. Kavi agreed this was an issue. 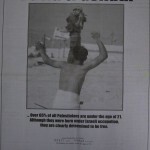 While veteran journalists know the difference, the young ones often don’t, he said. They also have to compete with 24 digital TV channels and social media, including the 140-character Twitter. Very often, he said, Thai journalists land up talking to the same people who put out information over Twitter. Same applies with coverage of Thai politics. He then stopped himself, saying that if he said any more, he may have to be sent for an “attitude adjustment” course as a guest of the military government now in power in Thailand. 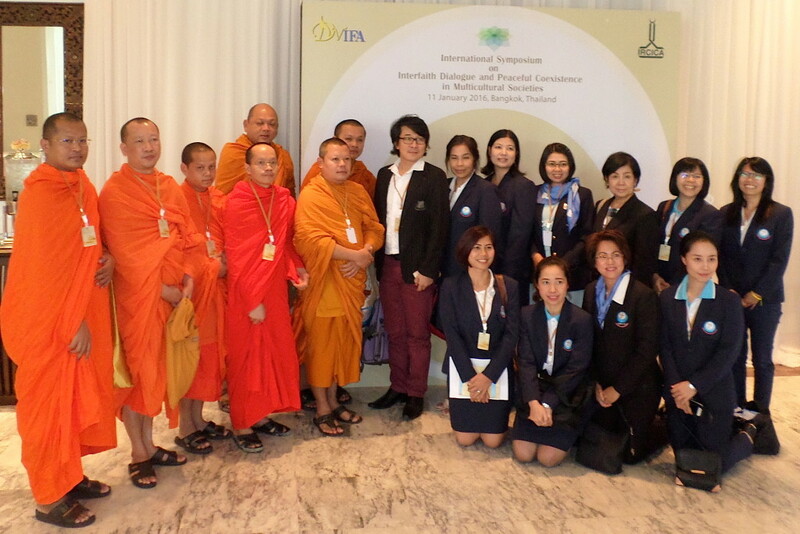 Some of the MFA staff posing with Buddhist monks who attended the symposium. The symposium drew a strong attendance from members of the diplomatic corps in Thailand, academics, media and civil society groups. 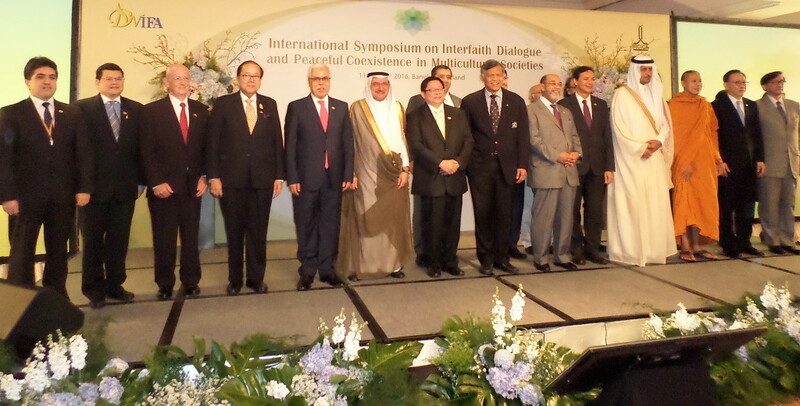 OIC Secretary-General Iyad Ameen Madani (in Arab robes, centre) with other speakers at the symposium.